I love this shot!!! Very original. Well done! cool subject (… bad joke) … seriously … a great way to portray life in this region!!!! The story behind "Snowy yak in Tibet"
It’s not only a hard life for the Tibetans here, but also for the animals. The yaks supply meat, clothing, power, fuel and income and fortunately they are built for the harsh life of the Tibetan plateau, and even a sudden snowstorm does not really worry them.. 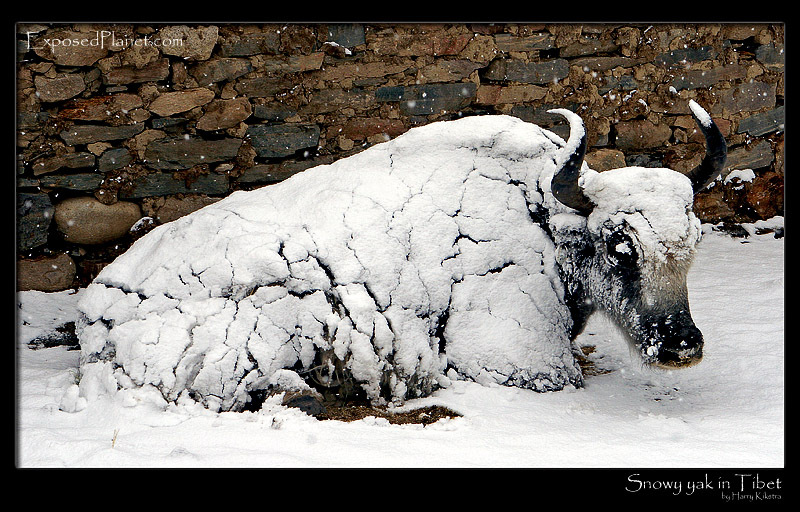 It's not only a hard life for the Tibetans here, but also for the animals.The yaks supply meat, clothing, power, fuel and income and fortunately they are built for the harsh life of the Tibetan plateau, and even a sudden snowstorm does not really worry them..